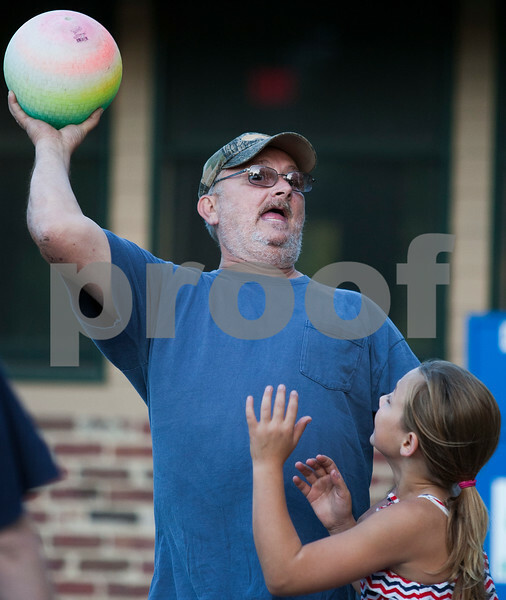 Mike Riley throws the ball over the head of his granddaughter, Katelynn Elliott, 9, both of Sycamore, as they play a game of monkey in the middle with family on Wednesday, September 14, 2016 at Hopkins Park in DeKalb. The family enjoyed the evening with a picnic and various games that promote positive family bonding. "We try to do a family activity every night," said Mike's wife, Angie Riley.